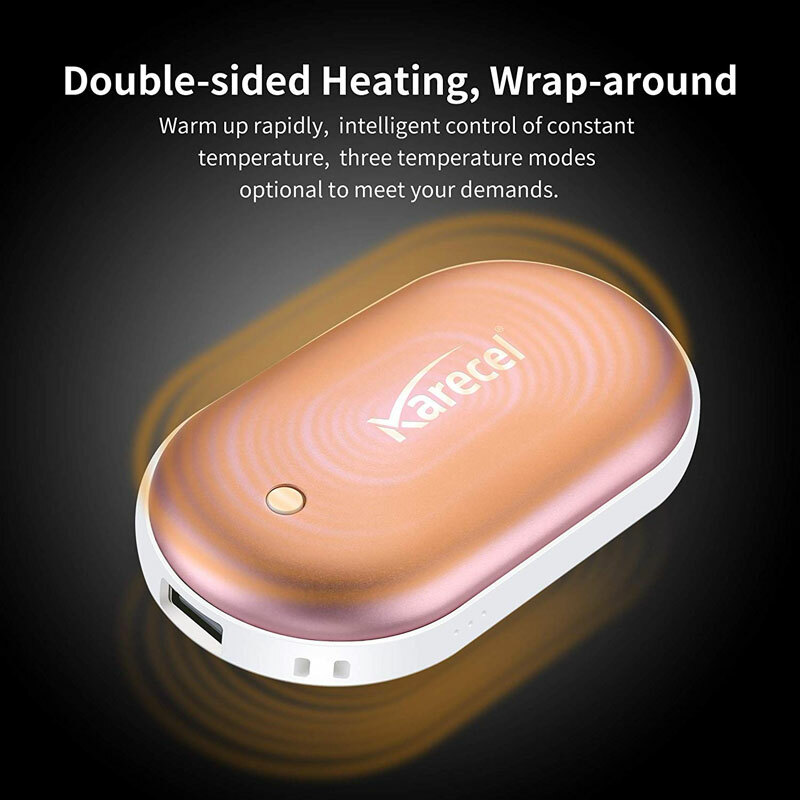 KARECEL Hand Warmers might not be able to keep the polar vortex out of your whole body, but they can kick off a cascade of heat in your fingers that moves up your arms and across your chest and back, maybe with the help of a Kelvin Coat or Torch coat heater. 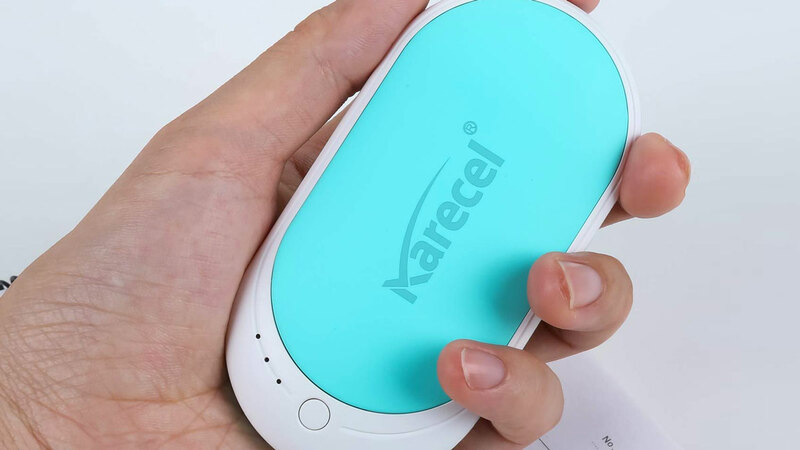 KARECEL Hand Warmers are even better bets for fighting indoor chills, especially in ridiculously cold office spaces and the homes of cheap Aunt Jans who won't set their thermostat above 65. Warmers come with 3 heat settings, 104-113, 113-122, and 122-131 degrees F. An indicator light shows the heat status and remaining battery life. 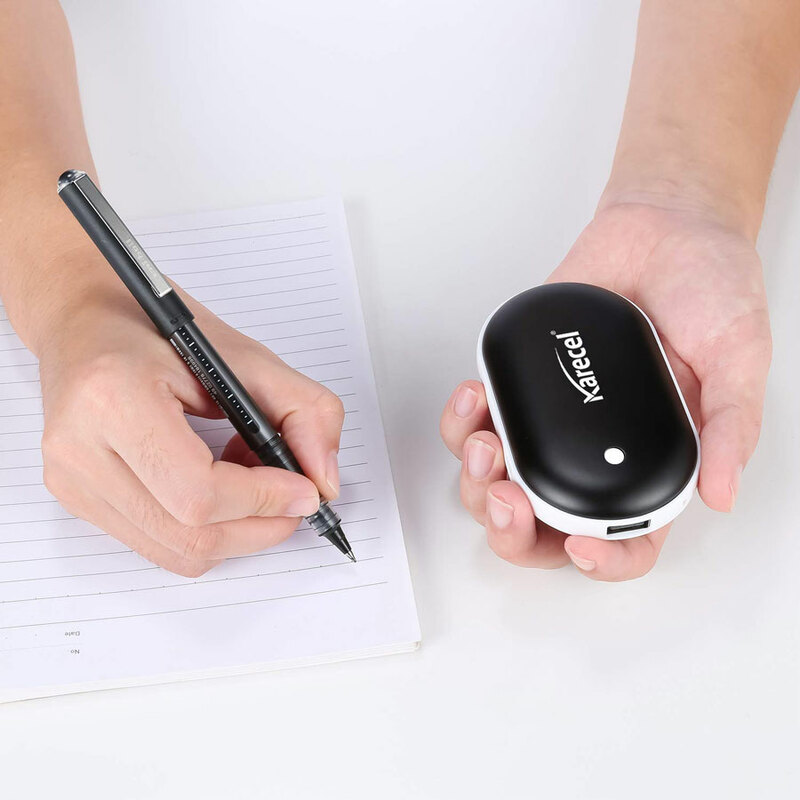 The double-sided hand warmers double again as a power bank, with a 5200mAh capacity able to give a full charge to most mobile phones.